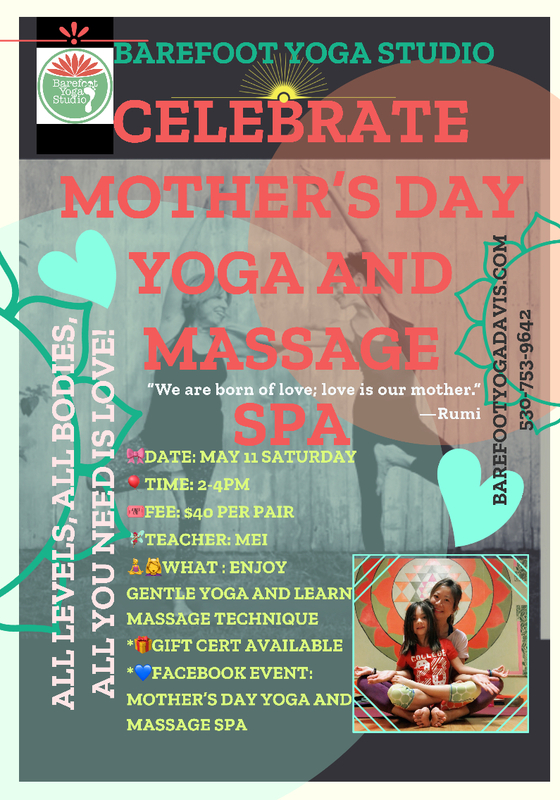 Mother’s Day Yoga & Massage SPA!! Celebrate Mother’s Day!! Enjoy an afternoon of gentle stretches and learn some massage technique for relaxation with your beloved mother. All levels and all bodies are welcome! Bring yoga mats, water, a soft pillow, a soft blanket; bring your mom, your mom-in-law, your grandmom, your mom friend, your loved ones! Guarantee to be a fun and lovely event to celebrate Mother’s Day! !